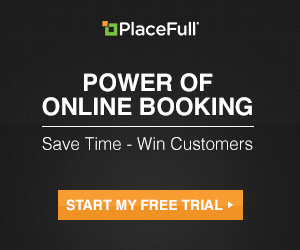 One of our missions at PlaceFull is to get our merchants tons of bookings! Your success is our success. We also know how crucial it is to simplify the management process after a booking occurs. After researching with business owners, we found that many companies would benefit from integrating their PlaceFull calendar with an existing calendar (providing merchants a simple way to stay on top of their bookings). You can now integrate your PlaceFull calendar with just a few clicks. We’re compatible with Outlook, Gmail and iCal. To get started, just follow these simple steps! After selecting the calendar you would like to integrate with, follow the simple steps. Next, choose to keep your customers’ information public or private by picking the calendar link you prefer. Once you complete the integration process, the next time a customer books one of your listings, you’ll receive a booking confirmation email. 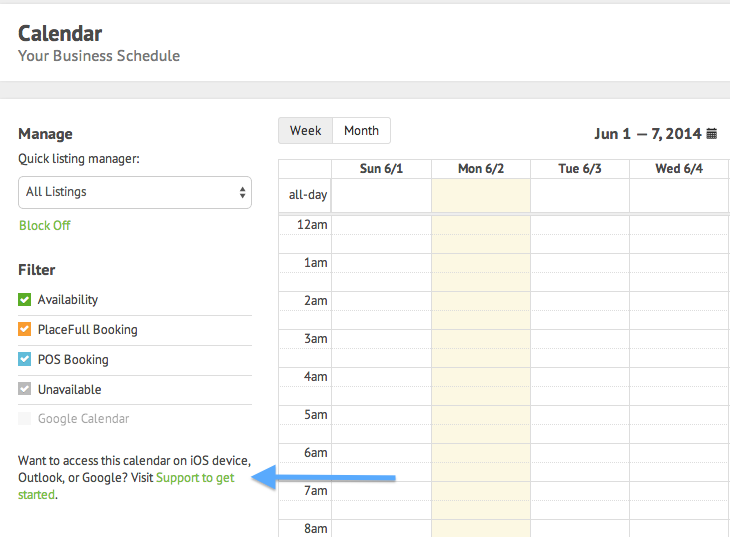 The booking will also show up on your PlaceFull calendar (as well as the calendar you integrated with). If you’re having ANY difficulties on integration, please don’t hesitate to email us. Categories: Merchant "How To's" | Tags: calendar integration, gmail, ical, outlook | Permalink.